Most Ukrainians prefer official employment and free education and health care, according to the findings of the public survey, "Ukrainians' attitude towards social democracy", presented by Dmytro Ostroushko, head of international programmes at the Gorshenin Institute. "For now, the majority of Ukrainians believes that education and health care should be free, and there should be a pay-as-you-go or mixed pension system. More than half of the respondents said that they were not prepared to pay higher taxes to improve the quality of state heath care, education and social services," the expert said. While 9.7% said they were certainly prepared to pay more, 28.3% said were generally prepared to do so, 31.9% were generally against this, 31.9% said were rather opposed to the idea, 22.8% were firmly against the idea, and 7.3% did not make up their mind. Ostroushko explained that, based on focus groups' answers, their reluctance has to do with the lack of trust in the state and in the effective distribution of money by the authorities. "The following conclusion of the study comes as a surprise in this context: more than half of Ukrainians prefer official employment even if they are paid less," he said. Official employment with a lower salary was a preferred choice for 56.3%, while 31.8% said they would choose higher salaries even if they were unofficial. Some 11.9% did not make up their mind on the matter. 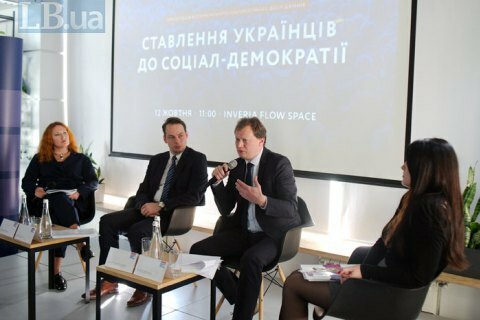 "Thus, the findings of the survey point to a critical need to improve the level of political culture of the population in Ukraine because it is a decisive factor in making the political system more democratic and building an effective civil society. However, it is obvious that these efforts will prove hardly effective if there is no progress in fighting corruption among officials and politicians and building a transparent and comprehensible system which would let citizens see how their taxes are used," he concluded.